Xyvid is part of the DPX Inc. family of companies. Dyventive, Inc., PharMethod, Inc. and Xyvid, Inc.’s work spaces are not branded to the companies, they are instead branded to the core values. They serve as a reminder that every action is to be taken with thought and intention of being better people. The core values concentrate on important skills and ideas that holistically tie to the workplace. These values are unification tools that have bonded Kovalcik’s experiences and beliefs with the idealisms and goals of each company. Ultimately, these core values have evolved Kovalcik’s mindset into a legacy that will continue to progress and serve future generations of the companies, their associates and families. This simple phrase laid the foundation for the nine core values that have molded Dyventive, PharMethod, and Xyvid into the noteworthy corporations they are recognized as today. The core values have centralized the outlook of Dyventive, Inc., PharMethod, Inc. and Xyvid, Inc. They are the impetuous for all the good that the companies create everyday. Yes, they have innovative products but also innovation in being good people. There is a peer selected annual award for the associate who best embodies the core values. There is an employee-led Sunshine Committee for morale and a cutting-edge green initiative for being a good citizen of the globe. 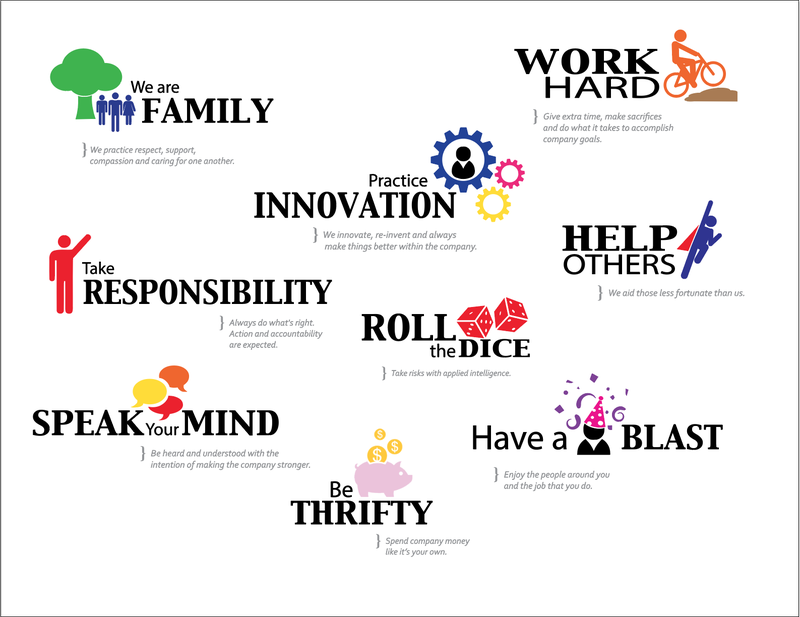 All of these things and more come from the heart of the organization - from the DPX core values.